2 Should you buy a Ljubljana City Card? 7 What time of Year should you Visit Ljubljana? 8 Whats on When I’m Visiting Ljubljana? Travelling to Ljubljana with Kids is a great experience. Why? Because you can discover the history of this beautiful clean, green city whilst hunting for the illusive Dragon. 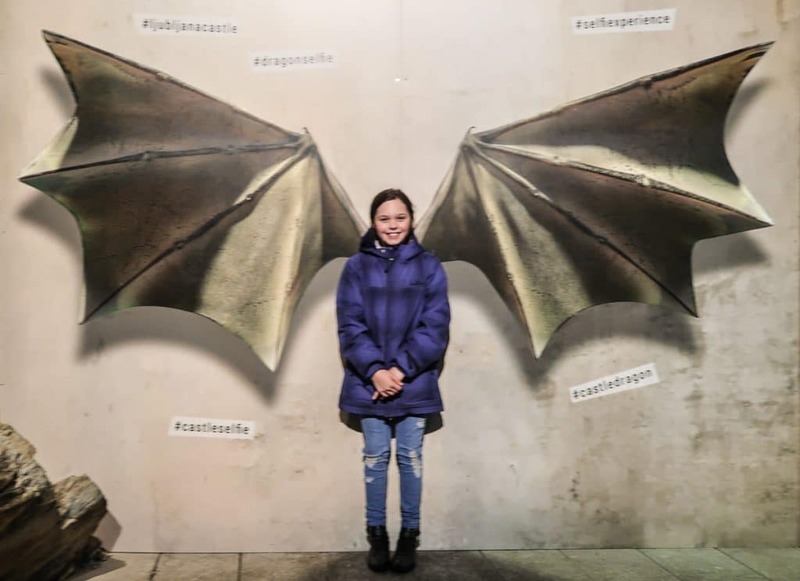 Thats right, Ljubljana has Dragons…..
And as an added bonus, if your kids aren’t already convinced that its the best destination ever, then tell them it’s also home to the BEST hot chocolate in the world! 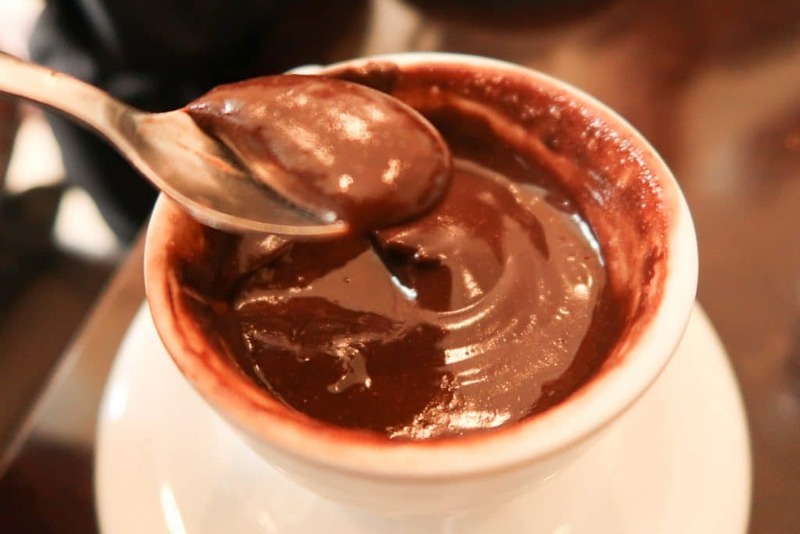 Think thick, hot custardy Chocolate. It sure to delight even the fussiest of kids. Slovenian Hot Chocolate is an Assault on the senses! Its available in almost every cafe you happen upon. YUM! 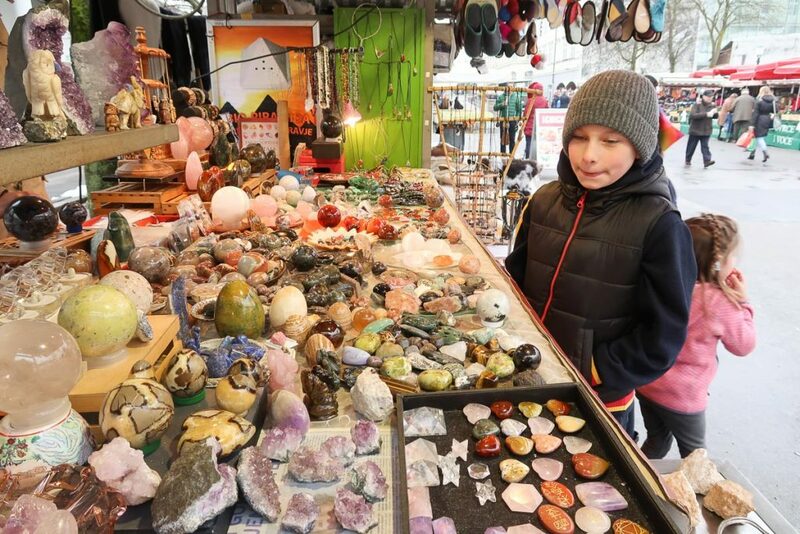 But first, you need to know where to go to thoroughly enjoy visiting Ljubljana with a family. 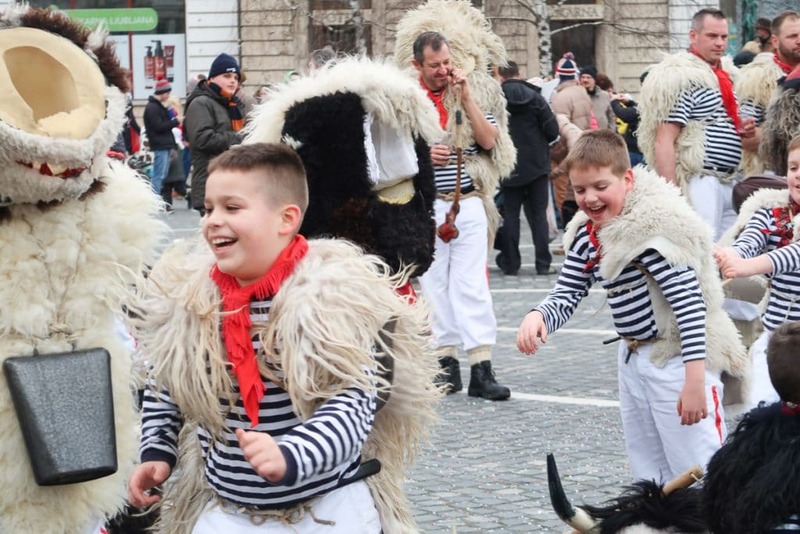 I’ll give you some options (free and paid) on keeping the kids entertained all whilst experiencing the culture of this beautiful Slovenian city. Now, I know it’s a bit of a tricky name, its said (Loo-blyah-na), but you’ll get the hang of it. As an added bonus the majority of locals are good at English, so ordering, getting directions, or finding a toilet in a hurry are easy to do. It’s a city with a Green Soul. 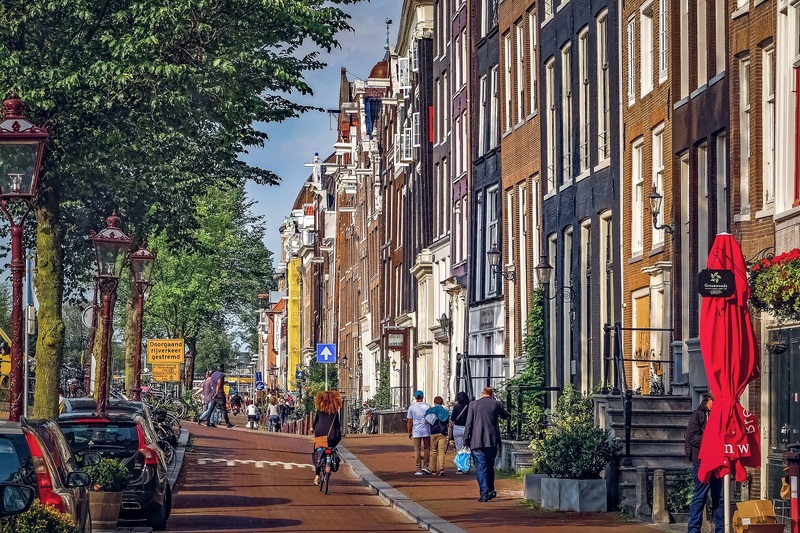 The locals take pride in their environmental initiatives, which translates into a beautiful clean city with plenty of open green spaces for your family to explore. It’s also incredibly safe and locals are super polite. Free WiFi is available all over the city, so no need to feel disconnected. You can find the closest bus stop or the local supermarket on the run. Should you buy a Ljubljana City Card? The Ljubljana Card gives you access to multiple attractions for a limited period of time 24, 48 or 72 hours. 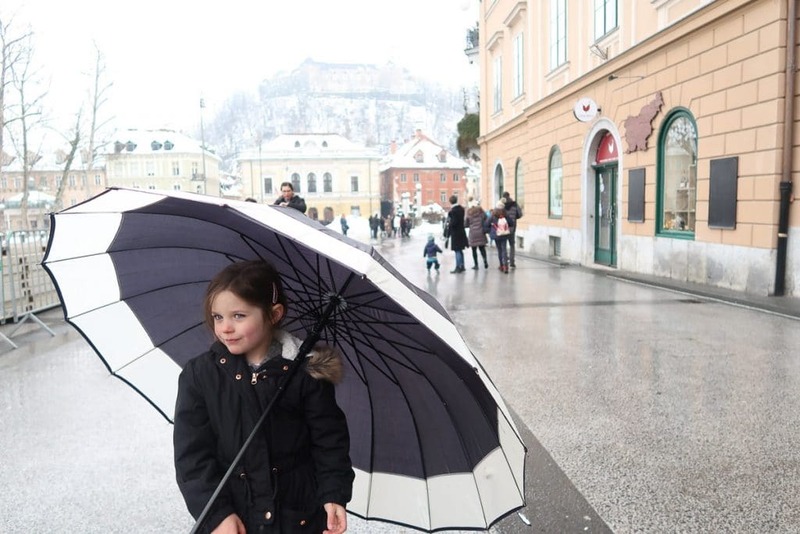 I think the Ljubljana Card available from the Visit Ljubljana website is a good option if you have older kids (above 6) that can troop around all day without sleep breaks and tantrums. 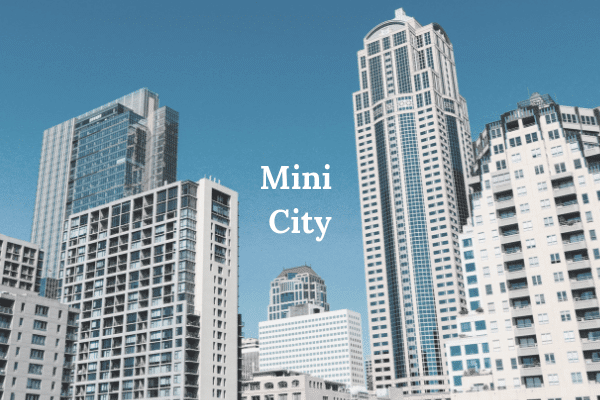 It is good value for money and will get you access to most of the sites, airport bus, city bus, a boat ride, bike hire and the list goes on and on. I chose not to use the City Card because we were in Ljubljana for over two weeks and I didn’t want to rush to see all the sites in 3 days to get the value out of the card. However if you are only in Ljubljana for a weeks holiday, definitely look at it as a cost effective option. As part of the cities Green initiatives is Ljubljana urban electric train that (for a small fee) takes tourists around the city to the main attractions. Another great way to get around the city is to hire a bike (only for kids 14 and up). It is super cheap and you can feel like a local who also love to ride everywhere. Take a ride through Ljubljana’s Pedestrian Zone on a Kavalir. The kids will love this electric minibus and better yet, its free! Kongresni Trg next to Congress Square. You can see Ljubljana Castle from just about everywhere in the city. Well…. except on a rainy day.! We all need to keep to a budget, so adding in a few free things to do with kids is alway a good idea, otherwise your back pocket isn’t going to thank you. 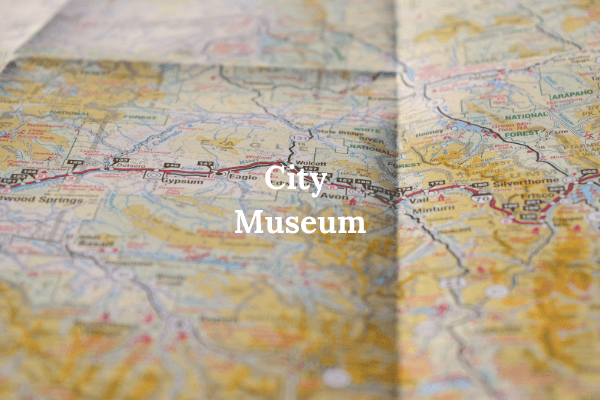 The following Museums are Free on the first Sunday of the Month in Ljubljana. So if your visiting over that weekend, pop on down to one and enjoy. Tivoli Park which is located in the North West corner of the city is a beautiful open green parklands where there is alway something happening. Pack a picnic and let the kids play on the adventure playground while you sit back and relax with a wine or two on a lazy summer afternoon. This Park is also home to the Zoo, a Cafe, Tivoli Water Park (swimming pools) all of which are paid options, but you might be interested in these also. When in the city of the Dragon you have to visit the Dragon Bridge (Zmajski Most), where the Dragons loom down at you from their pillars above. Unfortunately I couldn’t convince my kids to have a picture in one of the most recognised selfie spots in town. These Dragons are locally know as ‘Mother in Law’, I wonder why! Ljubljana Markets are a hive of activity. 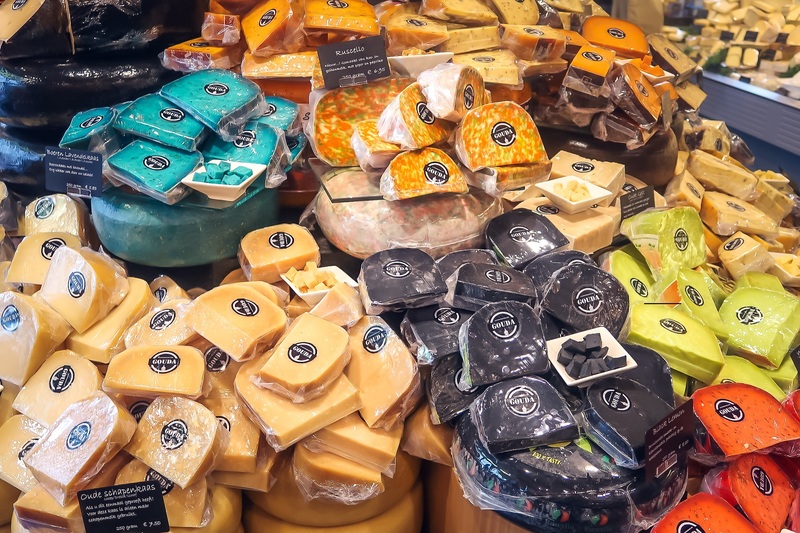 Kids and Parents alike will enjoy looking at the Brica Brac and food stalls or perhaps you could take them on a Food Safari at the Open Air Markets in Pogačar Square and see what new flavours you can find. 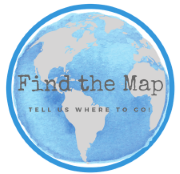 Do a Free Walking Tour of Ljubljana. 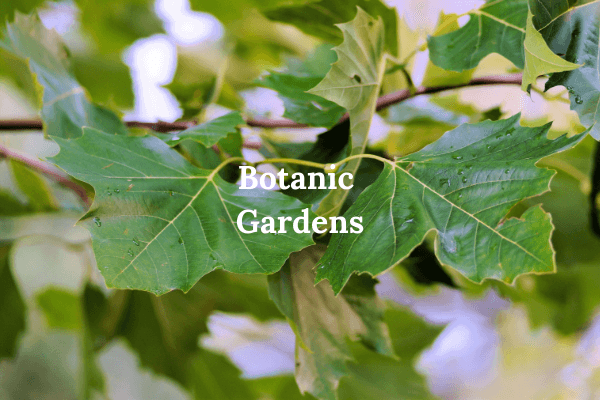 Likely this activity is more for Tweens and Teenagers than primary schoolers or younger, but its a great way for you Parents to get your bearings and really get to know some of the history of this incredible fairytale city. After all, its your holiday too! 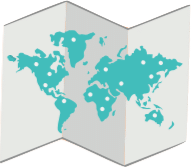 Discover the complete Guide to Free Walking Tours. Explore the old town of Ljubljana. Walk through the beautiful open areas like – Presernov Trg, Mestni Trg, Stari Trg and Gornji Trg, they all have their own ambience and beauty and its nice to just wander some days without an agenda and let the kids run and play. I love the pink church in Peseren Square, its bright and colourful and looks fabulous in photos. You will also find lots of drinking fountains all over the city and the water is good. No need to buy water here if you have a reusable drink bottle. Which most parents do. Find the Selfie spot to put on your dragon wings! The Castle (Ljubljanski Grad) has to be the top attraction in Ljubljana. It stands high on the hill above the city and has a majestic 360 degree view out over Ljubljana below. Kids will want to hear the tale of the Dragon and the History of this fairytale Castle or perhaps you would like to visit the Museum of Puppetry and Cafe. 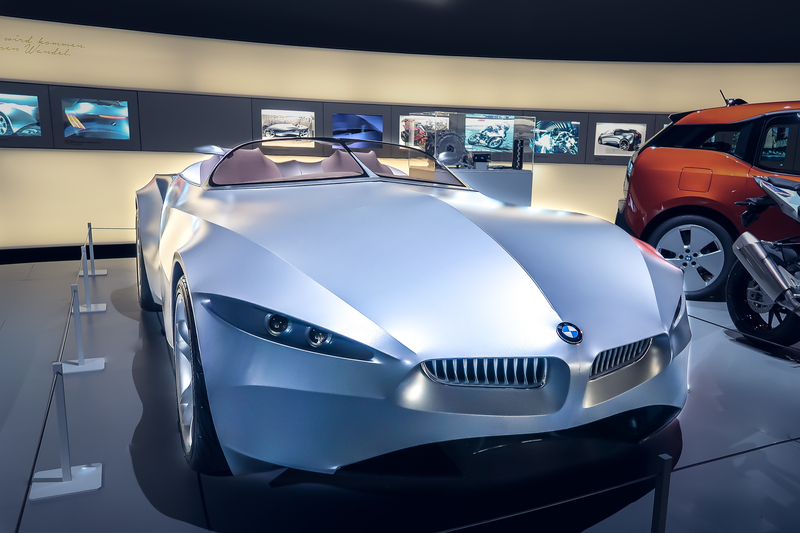 Whatever you do, don’t miss this attraction! Getting to the castle is easy, there is a Funicular, Electric Train, Public Transport (Bus) or you can walk or bike to the top. 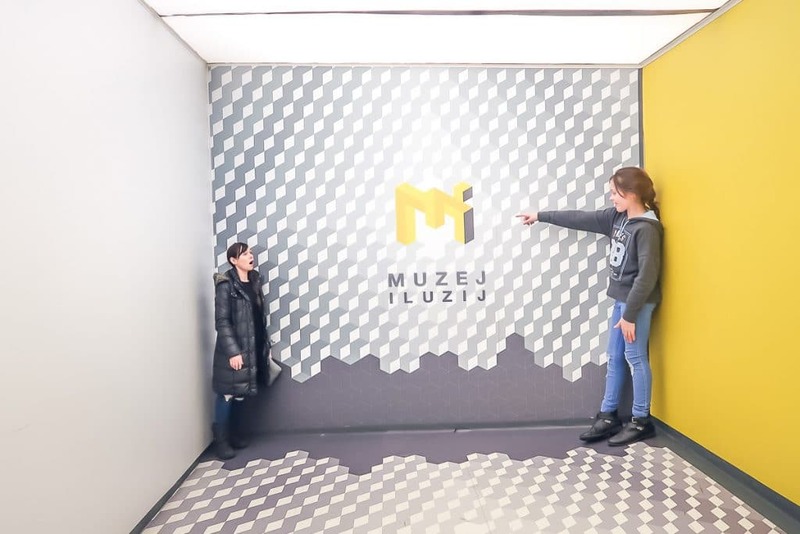 Museum of Illusions (Muzej iluzij) is an excellent morning out with the family. It’s a fully interactive experience investigating the floors of optical illusions. We spent way to much time exploring in this Museum, you will have a ball to, with all the intriguing and mind bending problems to solve. The wall of faces that watch you from every angle was my favourite. It’s open late (till 10pm), children under 5 are free. A huge child and small Adult, how can this be? English guide books are available so you’ll know what to do and how to do it. I’m sure your whole family will enjoy this experiment… Whoop, I meant experience! Ljubljana Zoo is located in Tivoli Park and offers a fun escape from visiting tourist attractions in the city. Pop past the adventure playground on your way there. You can get to the Zoo by foot, bus or car and although it isn’t huge, it still remains a favourite for the children – like all Zoos do! 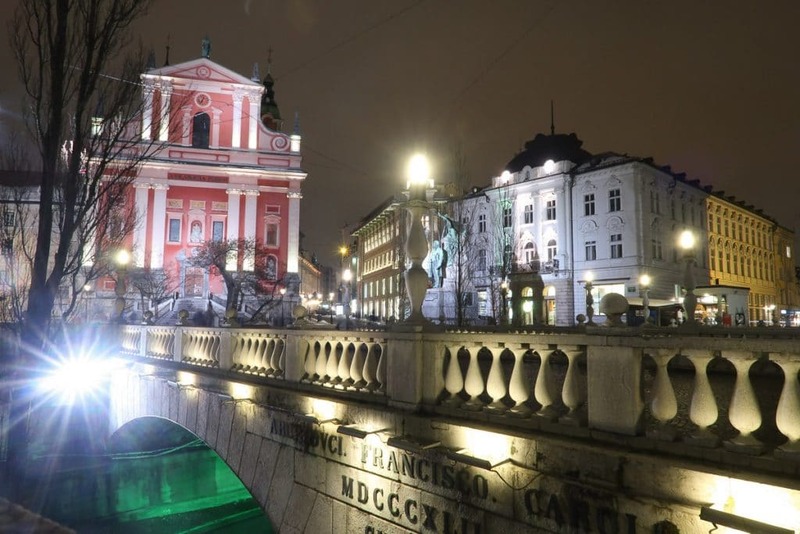 Take a trip down the Ljubljanica River on Ladjica Ljubljana, its peaceful and relaxing and gives you the chance to see parts of town you wouldn’t walk to. The kids will jump at the chance to give their legs a rest as well. Departs from the pier at Ribji Trg you will take a ride down to Spica and see Dragon Bridge from the Water on your return. Located South East of the city (1.7km from Preseren Monument), €6 for a family ticket and you can get there by foot, bike, boat, bus or train. What time of Year should you Visit Ljubljana? Summer in Ljubljana is mild, averaging 20 degrees during the day. Whereas winter gets cold, and generally it doesn’t get above 0 degrees. Shoulder seasons are are great time to travel and there are less tourists. But obviously you don’t necessarily get the weather you want. Whats on When I’m Visiting Ljubljana? Like all cities, Ljubljana has plenty of events that happen all year round check out what might be happening when you visit. Summer in Ljubljana sees the Science Festival come to life Science takes to the streets in Ljubljana, if your visiting at the end of May, kids will love watching all the science experiments taking place around the city. November is the best time to experience Food and Wine in Ljubljana. The Gourmet Festival runs over the entire month and there are many events. Ljubljana has an awesome locovore food ethic. You know, farm to table culture where you get the freshest produce. Kids and Parents will find some yummy treats during this month. We visited in Winter and were not disappointed. 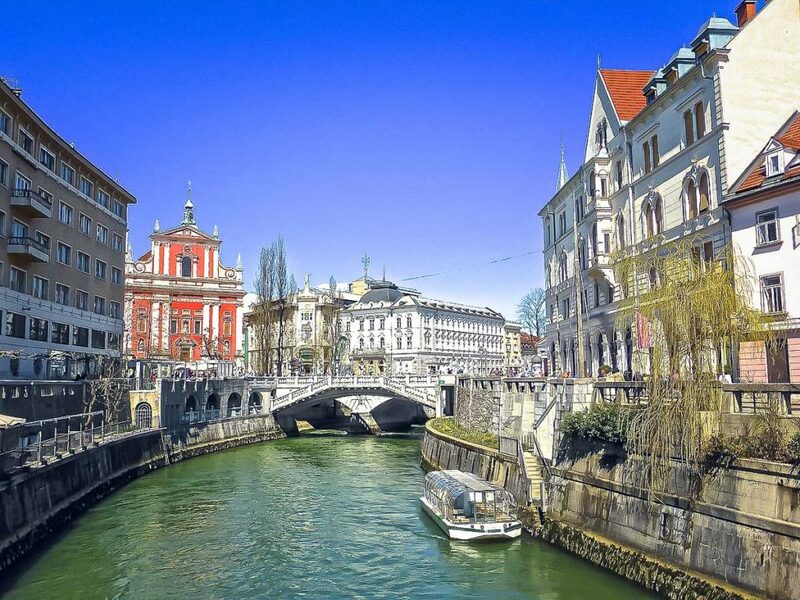 This city has a great vibe and its easy to spend your time watching the world pass by in a cafe on the river banks of Ljubljanica or strolling through its plazas. Looking for something special? Then you have to go to the Dragon Carnival in Winter (February), its fabulous. See the traditional carnival characters such as the kurent, , laufar & morostar. It’s bright, colourful and noisy. Hot wine for the adults and so much for the kids to see and do. The whole city gets into the celebration. Who brings Spring? St Gregory of course. Celebrate the Welcoming of Spring by floating a candle boat down the river with hundreds of other families at Radaščica channel. This celebration happens the night before spring begins in March. Okay, I have to mention the food, cause we all know that kids need to be feed to keep them content. So here is my recommendation. Amazing Pizza, every kids favourite! Restaurants in Ljubljana are plentiful and the area around the river banks abound with coffee shops and eateries with beautiful views. 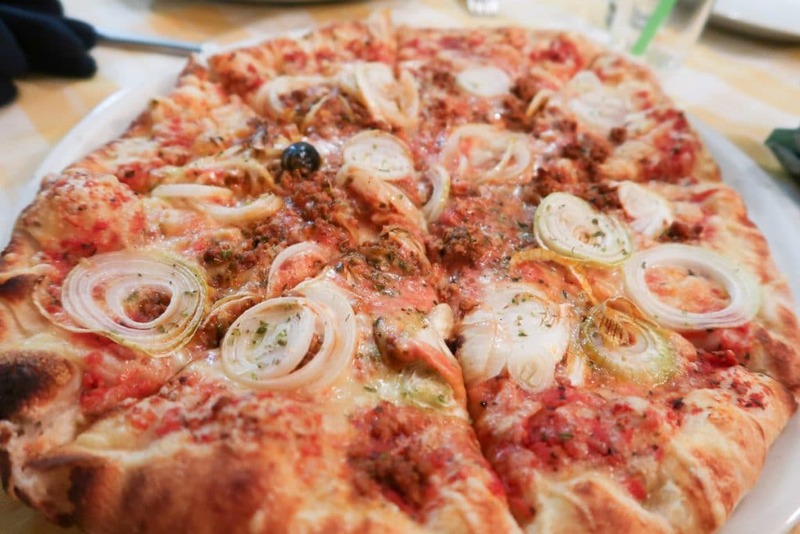 Try Pizzeria Ljubljanski dvor their pizza is sure to please even fussy eaters. Honestly, we ate all over town and never had a bad experience. Still to this day the kids favourite country is Slovenia and I think its because of the food. Well, that and the hot chocolate! We loved where we stayed in Dobrunje . 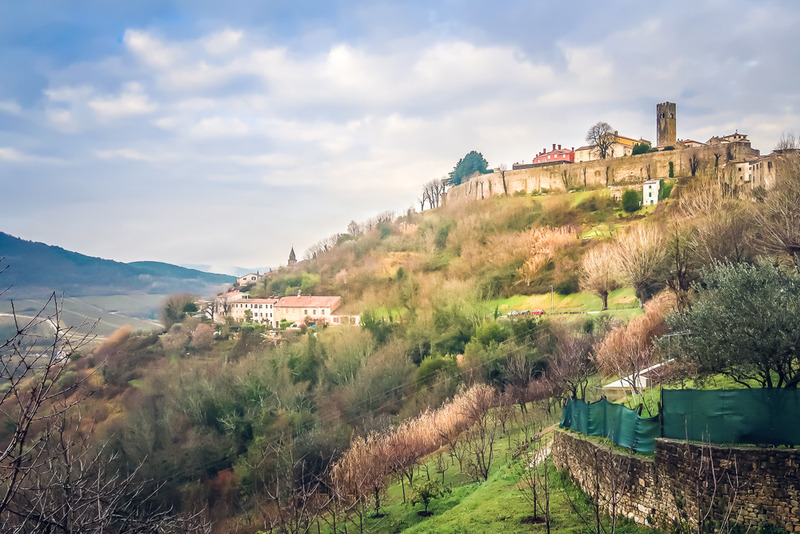 It’s about 10km out of the city, but easily accessible by bus, which stops outside the Gostilna. Its a motorhome stop (Camper Stop) behind Gostilna Pri Kovacu. The owners were awesome and let us stay for free if we ate in the restaurant. They also had pets – Goats, dogs & cats which the kids loved feeding each morning before we heading into town. If your heading there in summer, ring and book ahead, it gets full. Travelling by Bus in Ljubljana is reliable and cheap. We are talking around €1.20 for a single trip. You will need a Travel Card (Urbana Card) which will cost you €2 deposit (buy it at the Tourist Information Office and return it there with your receipt to get a refund on departure). Urbana cards are also available from newspaper kiosks, news-stands and post offices. Buses run from early 4am till late 1pm (generally) so its a great option for getting around the outer city with kids. Taxis are easy to find and safe. Fares range from €0.80 to €1.50 per km depending on company. 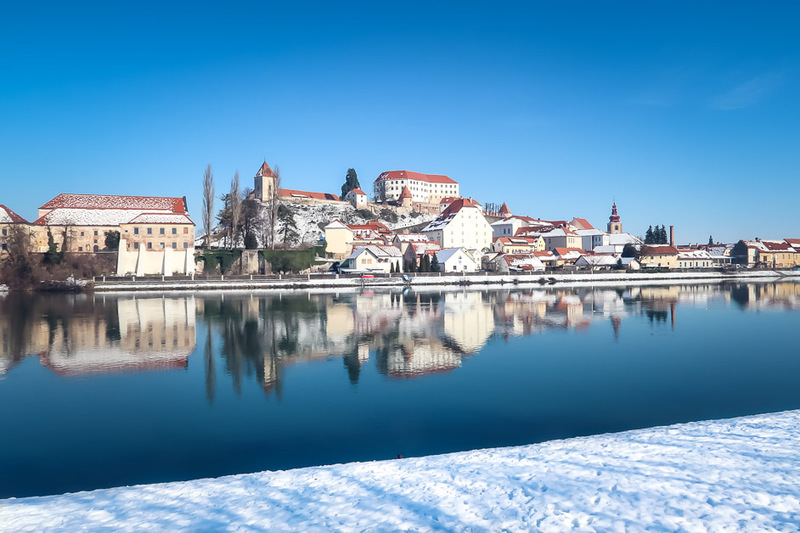 I loved everywhere we went in Slovenia, which includes, Ptuj, Celij, Idria, Lake Bled, Lipica, Piran. In fact, we travelled in our Motorhome so we saw many more towns and cities along the way. They all offer different experiences but stunning views and countryside. We truely left our hearts in Slovenia. I’d just like to point out that if you decide to go to Lipica to see the Lipanza Horses (which are stunning) like we did for our horse loving 9 year old, be aware that the horse show is more about technique than anything else. We were slightly disappointed. Head to Ljubljana for your next family holiday. I promise you will love it just as much as we did. Please let me know what you think of my tips by posting in the comments below. As always, because I love my readers, I respond to each and every question that comes in. Enjoyed this post? Why don’t you pin it to read again later. I love traveling with our baby but I’m so excited for when he’s a little older and can enjoy fun travel activities like these. I really enjoy a good Optical Illusions Museum. We visited one in Texas and took a pic similar to yours! Hi Stephanie, I know what you mean, we travelled with our son when he was young and it was fabulous, but I must admit travelling with older kids is also a great experience. Ljubljana was one of our favourite destinations, it really is a beautiful City with so much to do in summer or winter. We especially loved the pedestrian zone in the city with our then Miss 4, who could run around without me stressing about traffic. The Museum of Illusions was fantastic, I’d go back again and again. Ljubljana looks amazing! 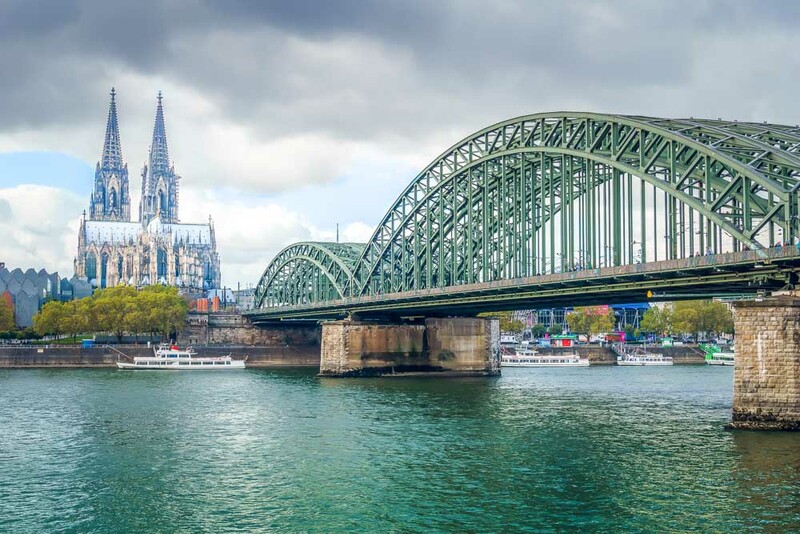 We’re considering adding it to our Europe itinerary for our trip this summer. Hi Sydney, you definitely should. Its a city wit a great vibe and there is always something happening. Ljubljana (I had to triple check that I spelled that right) looks gorgeous. I love the way you’ve laid this out so clearly. Hi Nina, thanks for the positive feedback. Its a bit of a tricky name to spell hey. It took me a while to get it stuck in my head, but now its not a problem at all. Yes, Ljubljana is amazing. Hi Alexander your absolutely right! Nightlife cranks in Ljubljana. However, not so much for Parents 😅, but luckily there is a great cafe culture also for those seeking a slightly quieter night life ☕️. Either way, I’m sure you would love it. Great post, I have never heard of Ljubljana before, but it sounds like such a cool place! My kids would love the dragon and the illusion museum. Thanks so much for this helpful guide! Hi Leslie, Thanks! 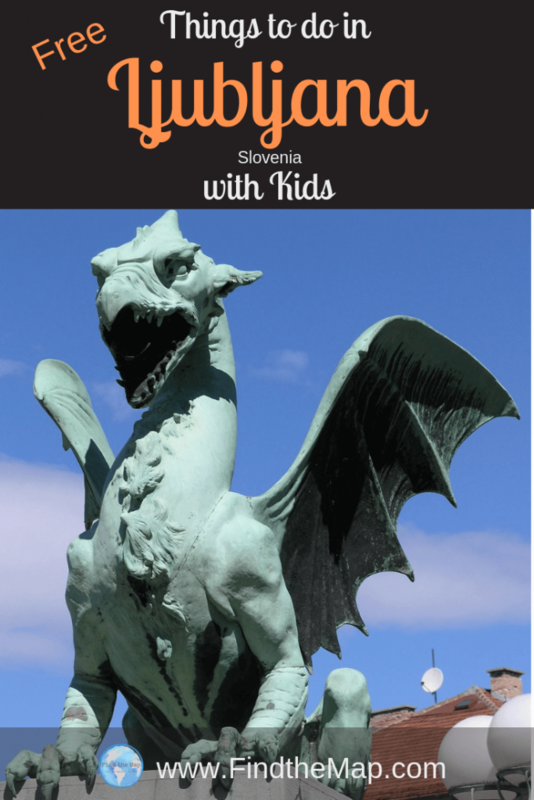 Ljubljana is the capital of Slovenia, your kids would love it for sure. Mine all did. Its a beautiful country.